This is a list of airports in New Zealand, sorted by location. Note: The limited international airports only have international services to Australia, and in some cases to Fiji. Map of airports in New Zealand with scheduled air services. "UN Location Codes: New Zealand] [includes IATA codes". UN/LOCODE 2006-2. UNECE. 2007-04-30. 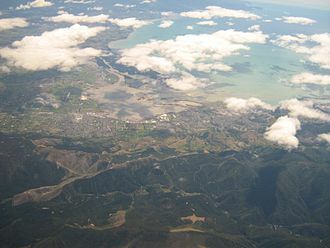 Wikimedia Commons has media related to Airports in New Zealand. 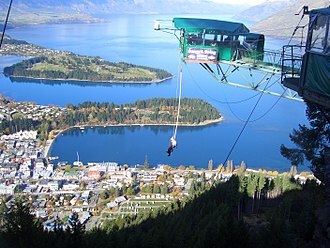 Queenstown is a resort town in Otago in the south-west of New Zealands South Island. 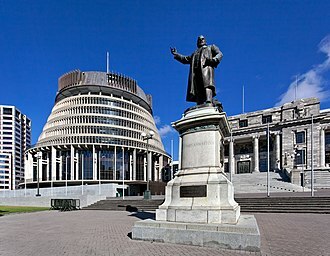 It has an population of 14,300, making it the 27th largest urban area in New Zealand. In 2016, Queenstown overtook Oamaru to become the second largest urban area in Otago, the Queenstown-Lakes District has a land area of 8,704.97 square kilometres not counting its inland lakes. The region has a resident population of 34,700. 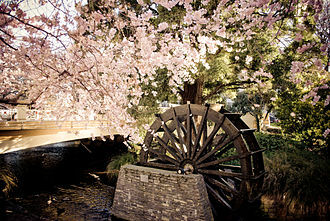 Its neighbouring towns include Arrowtown, Kingston, Alexandra, the nearest cities are Dunedin and Invercargill. 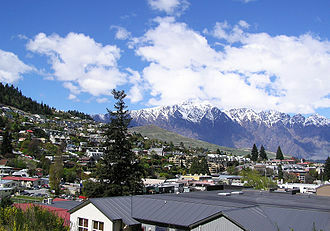 Queenstown is known for its tourism, especially adventure and ski tourism. The area was discovered and first settled by Māori before non-Māori arrived, the first non-Māori to see Lake Wakatipu was European Nathanael Chalmers who was guided by Reko, the chief of the Tuturau, over the Waimea Plains and up the Mataura River in September 1853. Evidence of stake nets, baskets for catching eels, spears and it is likely Ngāi Tahu Māori visited Queenstown en route to collect Pounamu. European explorers William Gilbert Rees and Nicholas von Tunzelmann were the first non-Maoris to settle the area, many Queenstown streets bear names from the gold mining era and some historic buildings remain. Williams Cottage, the Lake Lodge of Ophir, Queenstown Police Station, the miners and especially the Irish had taken an interest in the ceremony held for a small town called The Cove in Ireland which was renamed to Queenstown in honour of Queen Victoria in 1850. They may have had their own ceremony at the intersection of Rees, by 9 and 10 January 1863 the town was being reported with the name of Queenstown from several reports written by a correspondent in the Otago Witness on Monday the 5th and Tuesday the 6th. 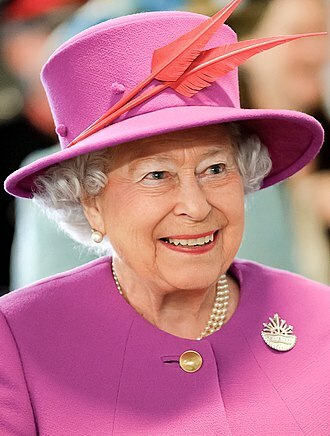 It was during the meeting there may have been a reference by a miner of the town being fit for a Queen, the Māori name for Queenstown of Tāhuna means shallow bay. A resort town, Queenstown boasted 220 adventure tourism activities in 2012, skiing and snowboarding, jet boating, whitewater rafting, bungy jumping, mountain biking, tramping, sky diving and fly fishing are all popular. Queenstown is a centre for snow sports in New Zealand, with people from all over the country. Cross country skiing is available at the Waiorau Snowfarm, near Cardrona village. 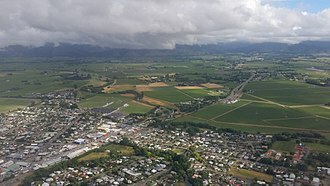 Blenheim is the most populous town in the region of Marlborough, in the north east of the South Island of New Zealand. 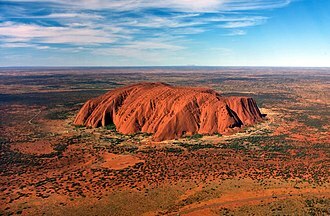 It has an population of 30,700. The surrounding area is known as a centre of New Zealands wine industry. It enjoys one of New Zealands sunniest climates, with hot, relatively dry summers, the relaxed lifestyle and the flourishing wine and gourmet food industry in Marlborough are enjoyed by both locals and visitors alike. Blenheim is named after the Battle of Blenheim, where led by John Churchill, 1st Duke of Marlborough defeated a combined French. 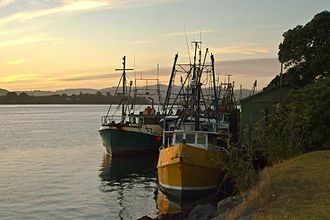 The sheltered coastal bays of Marlborough supported a small Māori population possibly as early as the 12th century, Māori in the Marlborough Region cultivated crops, including kumara and exploited marine resources. 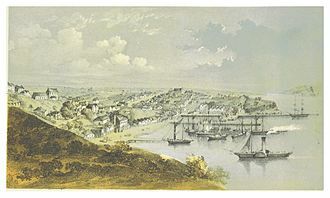 Although the early history of Marlborough was closely associated with the Nelson settlement, nineteen years after the original Nelson settlement the request of Marlborough settlers was granted, and Marlborough became a separate province in 1859. Marlborough squatters developed huge sheep runs that dominated the countryside, rivalling Canterburys sheep stations in size, on the Wairau Plain, the town is mostly flat with surrounding hills, which do not give as much protection from prevailing winds as might be expected. Open areas in and around Blenheim are hit quite hard by winds blowing from Cook Strait, Blenheim sits at the confluence of the Taylor and Ōpaoa rivers. 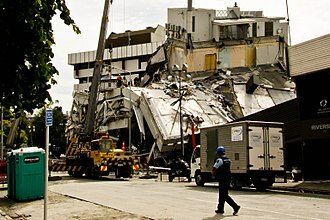 It is in an active zone and experiences several earthquakes each year. The boundary between the Pacific plate and the Indo-Australian plate passes just north of Blenheim, summers are typically warm and dry while winters are normally cool and frosty with clear sunny days that follow. Snowfall is rare as it is sheltered from cold weather by the mountain ranges to the south. Thunderstorms are an uncommon occurrence due to the sheltered climate, there is a higher likelihood in summer, when afternoon heating can generate a buildup of clouds above the ranges. The highest recorded temperature is 37. Masterton is a large town and local government district in the Wellington Region of New Zealand. It is the largest town in the Wairarapa, a region separated from Wellington by the Rimutaka ranges and it is 100 kilometres north-east of Wellington,39.4 kilometres south of Eketahuna, on the Ruamahanga River. 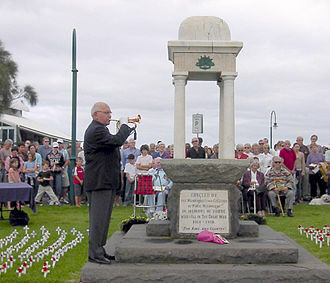 Masterton has an population of 21,200, and district population of 24,600. The Wairarapa Line railway allows access to Wellington, Lower Hutt, Masterton businesses include services for surrounding farmers. Three new industrial parks are being developed in Waingawa, the town is the headquarters of the annual Golden Shears sheep-shearing competition. 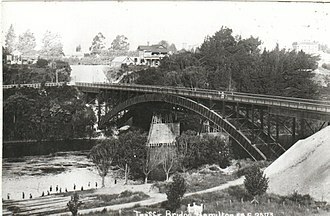 The association was led by Joseph Masters – after whom the town was named – and aimed to settle working people in villages, at first Masterton grew slowly, but as its farming hinterland became more productive it began to prosper. In the 1870s it overtook Greytown as Wairarapa’s major town and it became a borough in 1877 and was reached by the railway line from Wellington in 1880. This cemented the position as the region’s main market and distribution centre. In the 20th century Masterton kept growing, but never enough to dominate the region, from the 1960s, people and businesses left for opportunities elsewhere. In the 1980s, with government deregulation and protective tariffs lifted, more businesses closed, in April 1965 one of the countrys worst industrial accidents occurred at the General Plastics Factory. It did not quite qualify to be a city by 1989 when the population requirement for that status was lifted from 20,000 to 50,000. 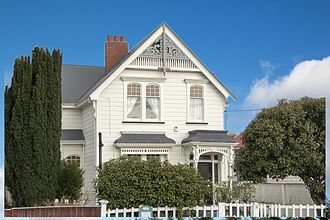 At the 2013 census, Masterton District had a population of 23,352 and its population is ranked 40th in size out of the 67 districts in New Zealand. There were 9,600 occupied dwellings,1368 unoccupied dwellings, of the population,11,226 were male, and 12,123 female. The district had an age of 42.8 years,4.8 years above the national median age of 38 years. People aged 65 years and over made up 19. 1% of the population, compared to 14. 3% nationally, and people under 15 years made up 20. 0%, compared to 20. 4% nationally. Hastings is a New Zealand city and is one of the two major urban areas in Hawkes Bay, on the east coast of the North Island of New Zealand. 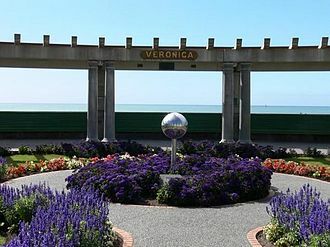 The population of Hastings is about 68,900 as of the June 2016, Hastings is about 18 kilometres inland of the coastal city of Napier. These two neighbouring cities are often called The Bay Cities or The Twin Cities, the combined population of the Napier-Hastings Urban Area is 131,000 people, which makes it the sixth-largest urban area in New Zealand, closely following Tauranga. The city is the centre of the Hastings District. 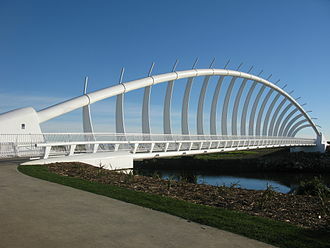 The city of Hastings and its suburbs of Flaxmere and Havelock North are the principal settlements in the Hastings District. These main centres are surrounded by thirty-eight rural settlements, including Clive, Hastings District covers an area of 5,229 square kilometres and has 1.7 % of the population of New Zealand, ranking it fourteenth in size out of the seventy-four territorial authorities. 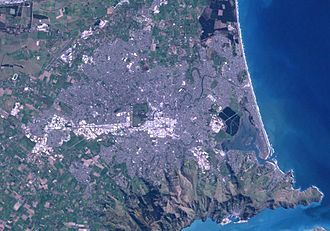 Since the merger of the surrounding and satellite settlements, Hastings has grown to one of the largest urban areas in Hawkes Bay. Hastings District is a food production region, the fertile Heretaunga Plains surrounding the city produce stone fruits, pome fruit and vegetables, and the area is one of New Zealands major red wine producers. Associated business include food processing, agricultural services, rural finance, Hastings is the major service centre for the surrounding inland pastoral communities and tourism. 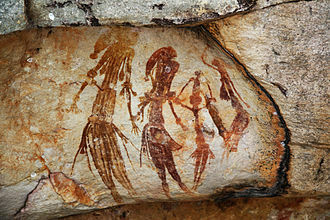 Near the fourteenth century CE, Māori arrived in Heretaunga or Hawkes Bay, settling in the river valleys and along the coast where food was plentiful. 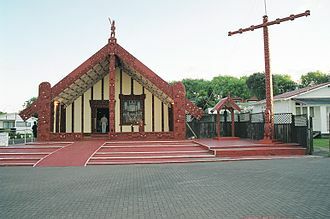 It is believed that Māori arrived at Heretaunga by canoe, travelling down the coast from the north, landing at Wairoa, Portland Island, the Ahuriri Lagoon at Westshore, and at Waimarama. 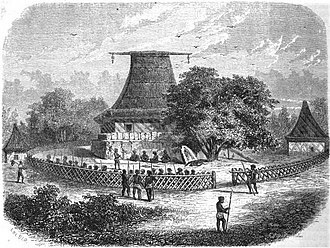 Their culture flourished, along with gradual deforestation of the land and they were one of the first Māori tribes to come in contact with European settlers. The Māori owners leased approximately seventy square kilometres on the Heretaunga Plains to Thomas Tanner in 1867, in 1870, twelve people, known as the 12 apostles, formed a syndicate to purchase the land for around £1 10s an acre. Stewart Island/Rakiura is the third-largest island of New Zealand. 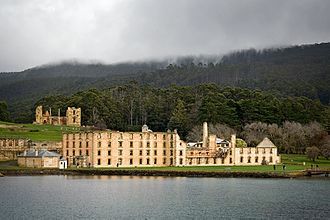 It lies 30 kilometres south of the South Island, across the Foveaux Strait and its permanent population is 381 people as of the 2013 census, most of whom live in the settlement of Oban on the eastern side of the island. The original Māori name, Te Punga o Te Waka a Maui, Rakiura is the more commonly known and used Māori name. It is usually translated as Glowing Skies, possibly a reference to the sunsets for which it is famous or for the aurora australis, the southern lights that are a phenomenon of southern latitudes. 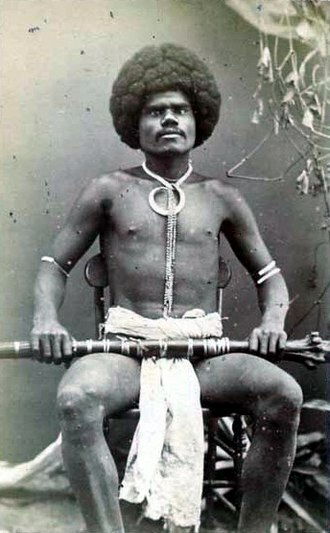 According to Māori legend, a chief on the island named Te Rakitamau was married to a woman who became terminally ill. Te Rakitamau paddled across Te Moana Tapokopoko a Tawhiki to the South Island where the cousin lived and he blushed with embarrassment, so the island was called Te Ura o Te Rakitamau. Captain James Cook and his crew were the first Europeans to sight the island, in 1770, but Cook thought it was part of the South Island so named it South Cape. The island received its English name in honour of William W. Stewart, who was first officer on the ship Pegasus, Stewart charted the large southeastern harbour that now bears the ships name, and determined the northern points of the island, proving that it was an island. 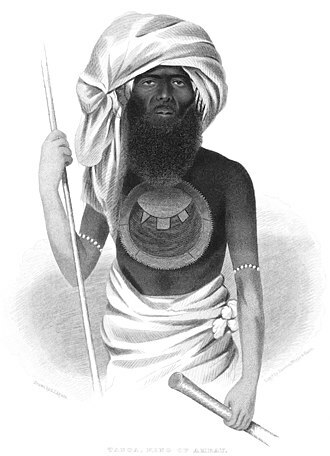 He made three visits to the island from the 1820s to the 1840s. In 1841, the island was established as one of the three Provinces of New Zealand, and was named New Leinster, when New Munster was abolished in 1853, Stewart Island became part of Otago Province until 1861 when Southland Province split from Otago. In 1876 the provinces were abolished altogether, for most of the twentieth century, Stewart Island was the official name, and that in common use by most New Zealanders. The name was altered to Stewart Island/Rakiura by the Ngai Tahu Claims Settlement Act 1998. 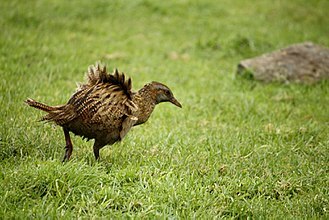 Stewart Island has an area of 1,680 square kilometres and it is hilly and has a wet climate. The north is dominated by the valley of the Freshwater River. The river rises close to the northwestern coast and flows southeastwards into the indentation of Paterson Inlet. Palmerston North Airport, originally called Milson Aerodrome, is an airport in the Manawatu-Wanganui region of New Zealand, serving Palmerston North City and the Central North Island regions. It is located in the suburb of Milson, on the outskirts of Palmerston North, New Zealand, the airport is 100% owned by the Palmerston North City Council and covers an area of 208ha. The airport is New Zealand’s 8th busiest and handled a total of 515,727 in the 2016 financial year, the airport handles around 30 commercial passenger flights per day to and from Auckland, Hamilton and Wellington. Operating 24/7 with no curfews imposed, the airport has become a hub for Parcelair. Common aircraft operating in Palmerston North Airport are ATR72, Bombardier Q300, diamond DA40 training aircraft used by Massey University’s School of Aviation are commonly seen in the airport. In addition to the aircraft types, the airport is able to cater for Boeing 737. The airport accommodates charters including business jets through to the larger Airbus A320 aircraft, the airport receives many diverting flights from Wellington due to its constantly windy and unstable weather. The airport has an excellent operational preference, opening majority of the time, the first airfield on this site was created by the Milson Aerodrome Society in 1931, comprising a grass runway. It was used exclusively for private flights, the first commercial flights began in 1936, operated by Union Airways. During World War II the airport was used as a military facility. A new terminal was constructed in 1992 and a new taxiway was built in 1994, following the major upgrades of the airport, Freedom Air started regular international flights to Brisbane and Sydney in 1996. Other destinations including Gold Coast and Melbourne were added in 1999, a Royal Brunei Airlines Boeing 767 landed at the airport on 10 March 2003, making it the first 767 to land at the airport. Since Freedom Air ceased operations in 2008, no carrier has served the airport with scheduled international flights, in 2014, the airport released its Masterplan for 2014-2035. Some proposed ideas include further lengthening the runway, a new parallel to the runway. Great Barrier Island lies in the outer Hauraki Gulf, New Zealand,100 kilometres north-east of central Auckland. With an area of 285 square kilometres it is the sixth-largest island of New Zealand and its highest point, Mount Hobson, is 621 metres above sea level. 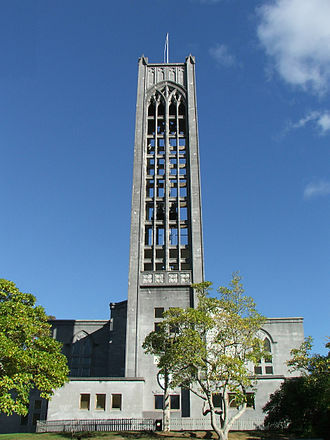 The local authority is the Auckland Council, the island was initially exploited for its minerals and kauri trees and saw only limited agriculture. In 2013, it was inhabited by 939 people, mostly living from farming, the majority of the island is administered as a nature reserve by the Department of Conservation. In 2009 the island atmosphere was described as being life in New Zealand many decades back, the highest point, Mount Hobson or Hirakimata, is 621 metres above sea level. 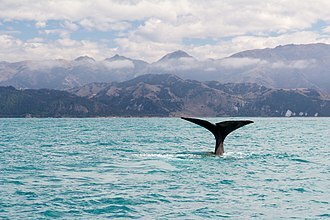 Smaller surrounding islands include Kaikoura Island, Rakitu Island, Aiguilles Island, the islands European name stems from its location on the outskirts of the Hauraki Gulf. With a maximum length of some 43 kilometres, it and the Coromandel Peninsula protect the gulf from the storms of the Pacific Ocean to the east, the island boasts highly contrasting coastal environments. The eastern coast comprises long, clear beaches, windswept sand-dunes, the western coast and calm, is home to hundreds of tiny, secluded bays which offer some of the best diving and boating in the country. 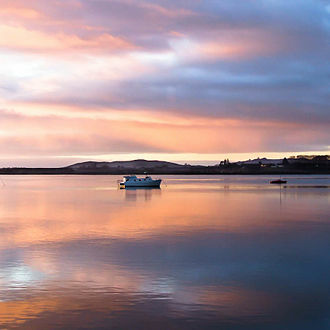 The inland holds several large and biologically diverse wetlands, along with rugged hill country, as well as old-growth, the island received its European name from Captain Cook because it acts as a barrier between the Pacific Ocean and the Hauraki Gulf. Entrance to the Hauraki Gulf is via two channels, one on side of the island. The island protects the gulf from the surface waves and the currents of the South Pacific Gyre. It is not a barrier, often defined as the correct use of the term. Mining Early European interest followed discovery of copper in the remote north, traces of these mines remain, largely accessible only by boat. 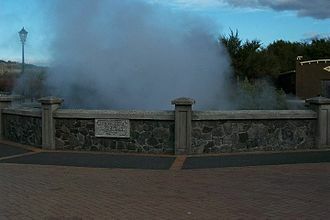 Later and silver were found in the Okupu / Whangaparapara area in the 1890s, the sound of the battery working was reputedly audible from the Coromandel Peninsula,20 km away. Dunedin Airport is one of two international airports in Otago, the other being Queenstown International Airport. It is located adjacent to the village of Momona on the Taieri Plains approximately 22 kilometres south west of Dunedin CBD and it is the fifth busiest airport in New Zealand by passengers. It has a paved runway rated for aircraft up to the Boeing 767. It has one building with five gates, two with airbridges, and customs facilities and other amenities. Mainland Air, a school and charter service, operates from a hangar next to the terminal building. The Dunedin City Council and the Crown each own 50 percent of Dunedin International Airport Limited, the old airfield at Taieri was not economic to expand to cater for the growth in air travel expected in the future. Construction of the present airport was completed in 1962, and its use was to cater for passengers of short haul aircraft. NZNAC started Fokker Friendship services immediately upon opening with Vickers Viscount services starting in December 1962, a large new hangar was completed in 1963. Mount Cook Airlines operated to Dunedin from March 1966 to July 1991, NAC started Boeing 737 services to Dunedin in December 1968. Automatic sliding doors were provided in the terminal in 1969 with a Rothmans clock being installed in the terminal in 1971, a new mezzanine floor and aircraft viewing deck were installed in 1974. The airport was closed due to flooding from June to July 1980, ansett New Zealand began Boeing 737 in December 1988 with airline lounges and airbridges being added in 1988. Extension of the runway to 1,900 metres was completed in May 1993, the first international flight, a Qantas Boeing 737-300 touched down in Dunedin in July 1994. Kiwi Travel International Airlines started regular flights in August 1995 followed by Freedom Air in December of the same year. Mount Cook Airlines began ATR-72 servies to Dunedin in November 1995, kiwi Air collapsed in September 1996. Ansett New Zealand became Qantas New Zealand in September 2000 and collapsed in April 2001, in about 2005, the check-in space was enlarged and a new international arrival area was added. Nelson Airport, is located 6 km southwest of the city, in the suburb of Annesbrook, in Nelson, New Zealand. Approximately 1.2 million passengers and visitors use the airport terminal annually, total passenger numbers for the 2016 financial year were 865,203. It is currently the sixth busiest airport in New Zealand by passengers, the airport has an Air New Zealand Koru Lounge. Construction of Nelson Airport commenced in 1937, in 2006, the airport received restricted international airport status and it has handled international private jets since then. The airport averages 60 commercial flights per day, the Airport precinct is home to 35 aeronautical and support businesses. 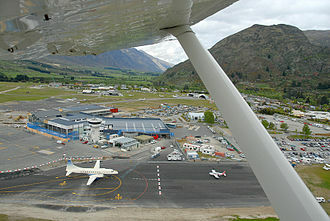 Nelson airport is the base of Air Nelson operating under the Air NZ Link banner. Air New Zealand, Air Nelsons parent airline, recently expanded its Nelson base, investing 30 million dollars to develop the engineering, Air New Zealand announced the Air Nelson maintenance facility would handle fellow subsidiary Mount Cook Airlines fleet of ATR 72-500/600 aircraft. The airport has a terminal building with 9 tarmac gates. A further 7 remote gates are located adjacent to the terminal, in 2014, Nelson City Council deemed the main terminal of Nelson Airport an earthquake risk and at fault of possible liquefaction. The airport has been granted 10 years to upgrade the terminal to meet current building standards, the Nelson Airport management on 8 September 2015 have decided to rebuild the terminal instead of renovating the existing complex as this will best meet the growth needs in the future. It was announced that due to increased airline activity strong passenger growth could be expected over the two years. It is estimated that by the end of 2017 there could be more than 1 million passengers per annum, Air New Zealand operate daily up to ten flights to Auckland, twelve flights to Wellington and seven flights to Christchurch. Sounds Air offer a number of scenic and charter services out of Nelson. Popular charters are Blenheim, Picton and Awaroa, sounds Air provides the main air link into Awaroa for Awaroa Lodge. 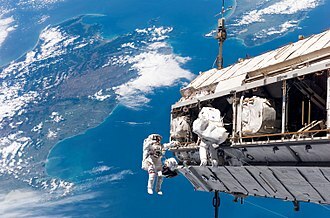 It is co-located with RNZAF Base Woodbourne in the Wairau Valley on the north-eastern corner of the South Island of New Zealand. The airport has a terminal and 7 tarmac gates. Woodbourne was one of the first airports in New Zealand, today it is one of the few remaining air force bases, with general maintenance and initial training conducted there. It serves as the airport for Blenheim. Runway 06R/24L was sealed for Fokker Friendships in 1961, and was one of the first regional airports in the country to take turboprop aircraft. Today it has more frequent operations, with Air New Zealands regional subsidiary Air Nelson using Bombardier Q300, the busiest route from Blenheim remains across the Cook Strait to Wellington,80 km to the north-east, flights take only 25 minutes. Air2there operates from Nelson and Kapiti Coast, sounds Air operates a Cessna Caravan and Pilatus PC12 from Wellington, Kapiti Coast and Christchurch. The terminal building was renovated in 2014/15 to cope with growing passenger demand, the redevelopment included an extension of the apron along with new check-in, baggage clam facilities and extension of the departure lounge. 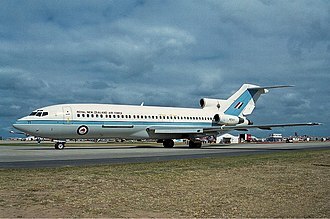 RNZAF Boeing 727-100QC seen here at Blenheim, this is now used as an engineering training aid. Air New Zealand Boeing 737-300 touching down on Runway 21, while an Air New Zealand Airbus A320-200 waits on the taxiway. An Air New Zealand Link Dash 8 at Nelson in 2012. A Beechcraft 1900 lifting off from Nelson Airport in New Zealand. Air New Zealand Link Beechcraft 1900 at Palmerston North Airport. A Bombardier Q300 operated by Air New Zealand's subsidiary Air Nelson parked on the apron. 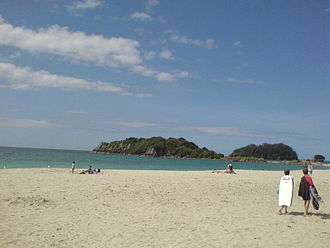 Kaitoke Beach in the east of Great Barrier Island. The "White Cliffs" can be seen in the front right. Port Fitzroy from the top of Kaikoura Island (previously Selwyn Island), 1967.